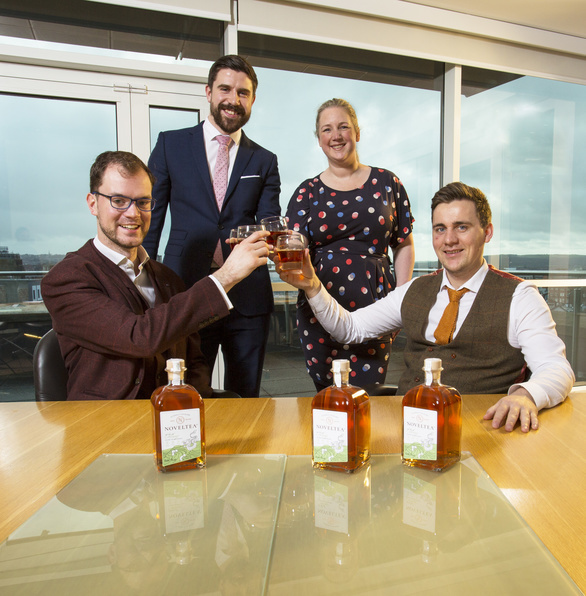 We’re delighted to have advised on North East based alcoholic tea suppliers NOVELTEA are exporting their Alcoholic Tea Blends to China after securing a new agreement with an investment and distribution company with strong links in Asia. NOVELTEA, set up by former Newcastle University graduates and artisan tea mixologists Vincent Efferoth and Lukas Passia in 2016, has teamed up with the Asian investment and distribution company FEAST Holdings GMBH, in a bid to crack the lucrative Chinese/Asian markets and boost its global sales. As part of the distribution deal, FEAST will receive an equity stake in NOVELTEA, an indication of the distributor’s desire to help the popular alcoholic tea succeed globally. The business has just launched its third alcoholic brew – The Tale of Oolong – a blend of Chinese Oolong tea and Scotch whisky. The new ‘Tale’ adds to its existing distinctive products, ‘The Tale of Earl Grey’ and ‘The Tale of Tangier’, and complements NOVELTEA’s ambitious plans to boost sales and grow its business internationally. Viewers of BBC2’s Dragons’ Den recently watched the NOVELTEA co-founders Vincent Efferoth and Lukas Passia turn down investment offers from three Dragons, after politely declining to give away 30% of their business. That decision was vindicated within days of filming, when the pair had raised a whopping £342,000 for approximately 9% of the business, giving NOVELTEA a valuation of £3.8m. NOVELTEA’s Mr. Efferoth said: “We’re delighted to strike this innovative distribution deal with FEAST, supported by our legal team. We’re always looking for new partners that share our love of creativity and tea, and this deal is symptomatic of how we do business. “NOVELTEA’s products have huge global sales potential and we have ambitious plans to extend our range and grow our overseas market. Legal work for the distribution deal between NOVELTEA’s holding company Tea Venture Limited and FEAST was completed by our associate Amy Wanless and solicitor Tom Justice. Amy added: “We have been working with NOVELTEA from early on in their journey, initially supporting them through our Mi Business legal services package, which is designed to help small and start-up business grow.